Lustrous, dark green leaves and small clusters of red-purple flowers in April and May, followed by large, bright red berries. This compact Japanese laurel is perfect for a small shady site. Tolerant of dry shade and urban-pollution, it has bisexual flowers, but if you want an even bigger crop berries, try planting it alongside a 'male' variety. 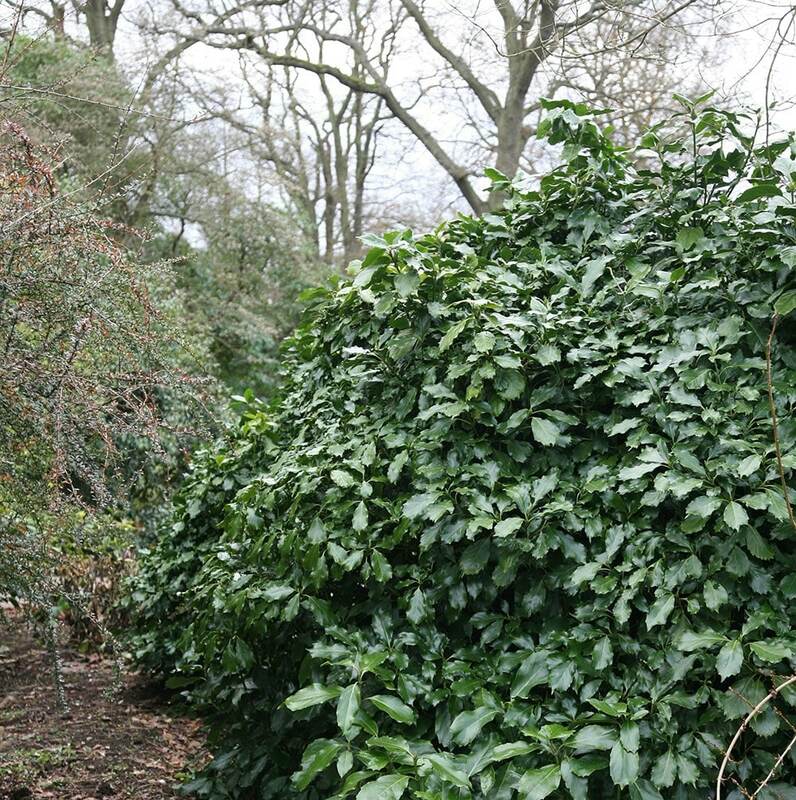 Garden care: To promote bushy growth prune straggly branches in spring. Apply a generous 5-7cm (2-3in) mulch of well-rotted garden compost or manure around the base of the plant after pruning. I have been researching for a long time for plants that could survive flanking my front door. It is facing north and I live in Scotland, and I needed hardy plants. Nothing else survived in that spot. I found the website and explanations about Aucuba japonica in the comments below it - the information given by your helpful staff and I thought - this plant might just be what I want. So I ordered two and they arrived within a couple of days in a tall box, well packet and I was very impressed. Some time has passed and I am happy to report that both plants are thriving and have even produced their first berries around Christmas - New Year's time. Keeping fingers crossed that they beautify my front door area for a long time. Many thanks to everyone at Crocus. 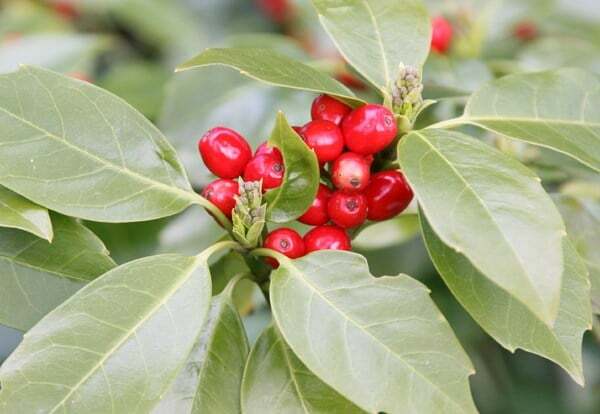 You suggest,planting a male laurel to ensure red berries, what plant do you recommend? Hello, 'Rozannie' has bisexual flowers so will produce berries without a nearby male, however if you want even more berries, then you should pair it will a male. Unfortunately we do not sell any, however if you do want one, then you can look for either 'Crassifolia' or 'Lance Leaf'. What is suitable for a cold, north-facing spot? We would like 2 evergreen plants to stand either side of our front door. The trouble is it is north facing and gets no sun at all and sometimes is subject to a cold north wind. Do you think a miniature bay tree would be any good? We would greatly appreciate your advice.